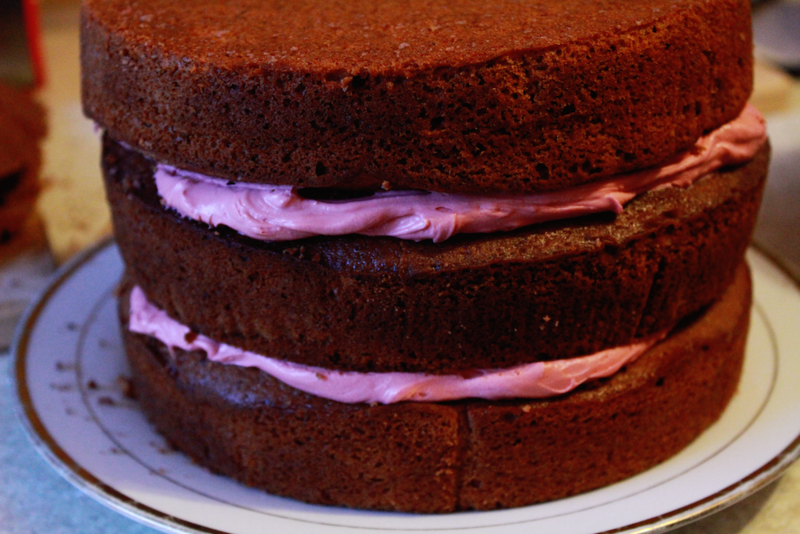 Its a red velvet sponge, although you'll notice the lake of red even though I added 2 bottles of red food colouring! 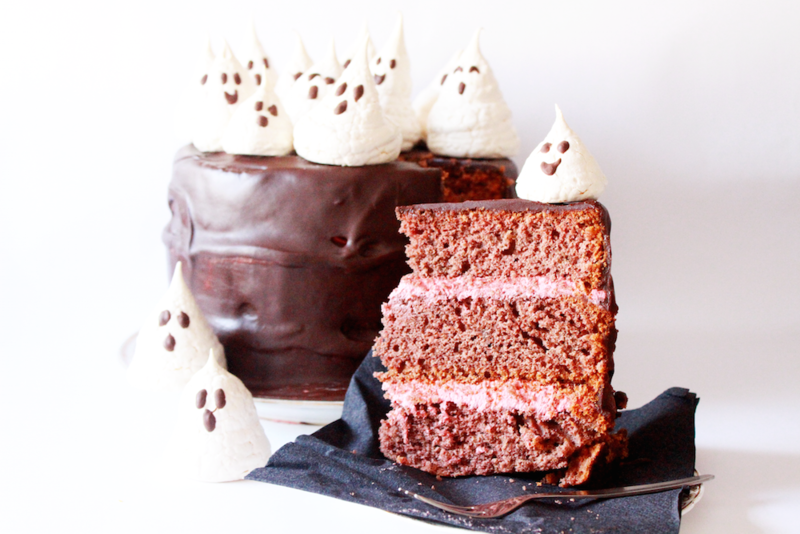 It has pink cream filling, dark chocolate ganache and spooky meringue ghosts that haunt the cake! This week I cheated a little I guess as my fella, Jon helped me out. It was really nice having some help for a change although 2 cooks in a small kitchen can be a bit stressful! Dark chocolate for eyes and mouths. Preheat the oven to 180c and prep your cake tins by lining them with grease proof paper, I used 3 tins. In a small bowl, sift the flour and set aside. In a large bowl, on the medium speed of an electric mixer, cream the butter and sugar until light and fluffy, about 5 minutes. Add the eggs, one at a time, beating well after each addition. 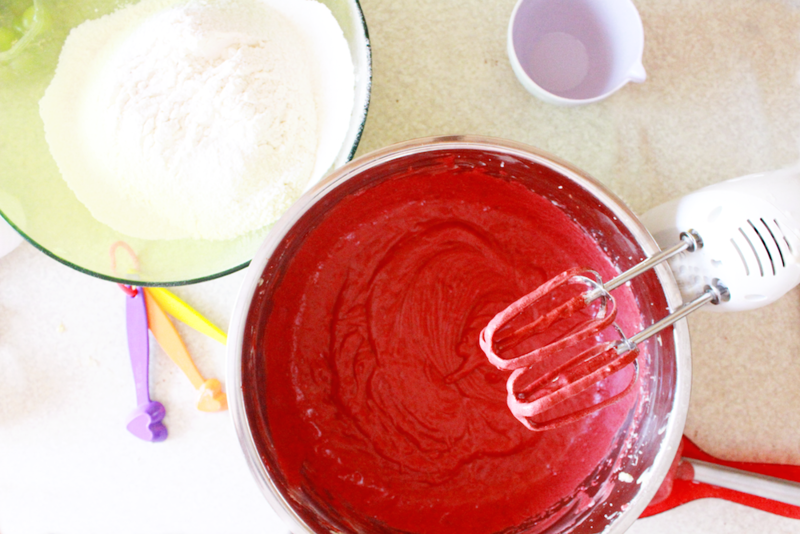 In another small bowl, whisk the red food colouring, cocoa, and vanilla together. Add to the batter and beat well. Stir the salt into the buttermilk. Add the batter in three parts, alternating with the flour. With each addition, beat until the ingredients are incorporated, be careful not to over beat. In a small bowl, stir together the cider vinegar and baking soda, this may remind you of a bath bomb! Add to the batter and mix well. Using a rubber spatula, scrape down the batter in the bowl, making sure the ingredients are well blended and the batter is smooth. 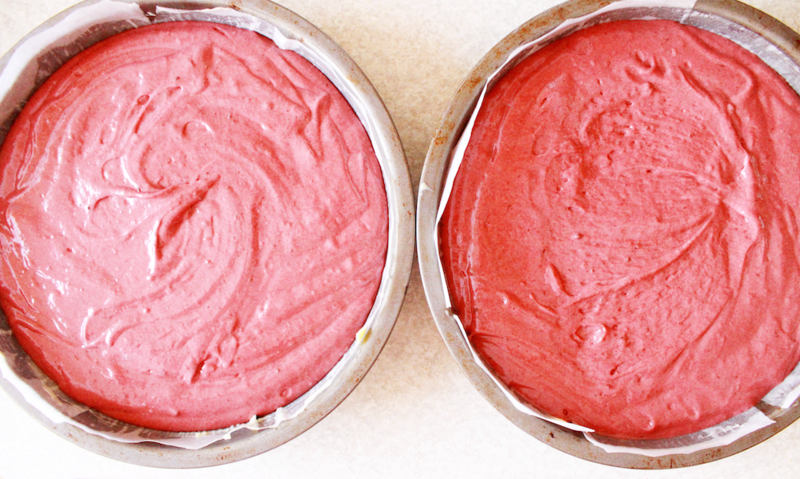 My batter was enough for 3 cake tins which I baked in 2 batches as I only have 2 tins! Bake for 30 minutes, or until a skewer popped in the centre of the cake comes out clean. Let the layers cool and remove from the pans and cool completely. To make sure my cake wasn't wonky when constructing, we cut off the tops for a flat top. Whisk the double cream, icing sugar and food colouring to make your filling and add to layers of cake as you make your cake tower! Make up your ganache by melting your chocolate, once all melted slowly add the whipping cream, mixing all the way. 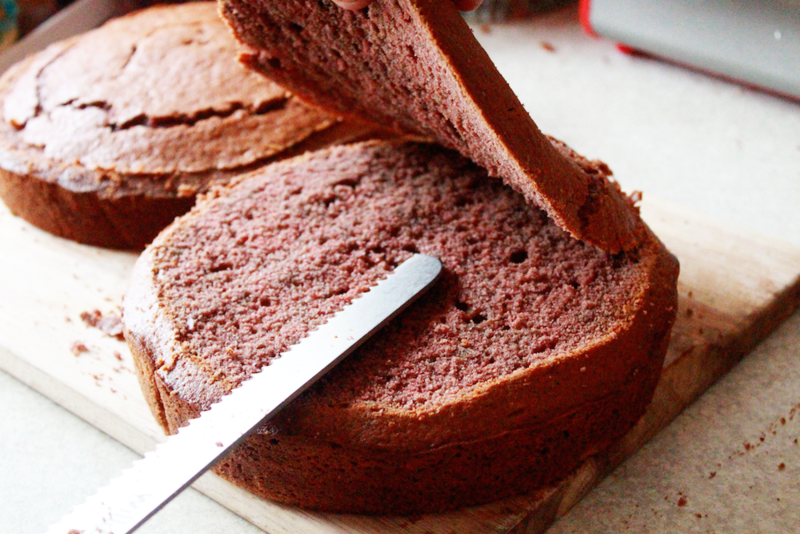 Let the ganache cool before pouring it allover the cake! 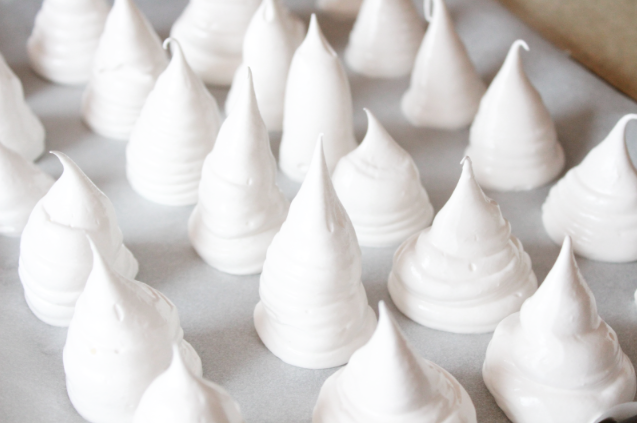 To make the meringue ghosts I used the basic "meringue kiss" recipe from my favourite cook book, The Meringue Girls Cookbook! Heat up for caster sugar in a oven at 200c for 5 mins. Whisk up the egg whites still stiff and slowly add the hot sugar. Keep whisking till the sugar dissolves them pipe into ghost shapes! Bake in a 100c oven for 30-40 mins then turn off the heat and rest until dry. Little tip - they taste better the after after! 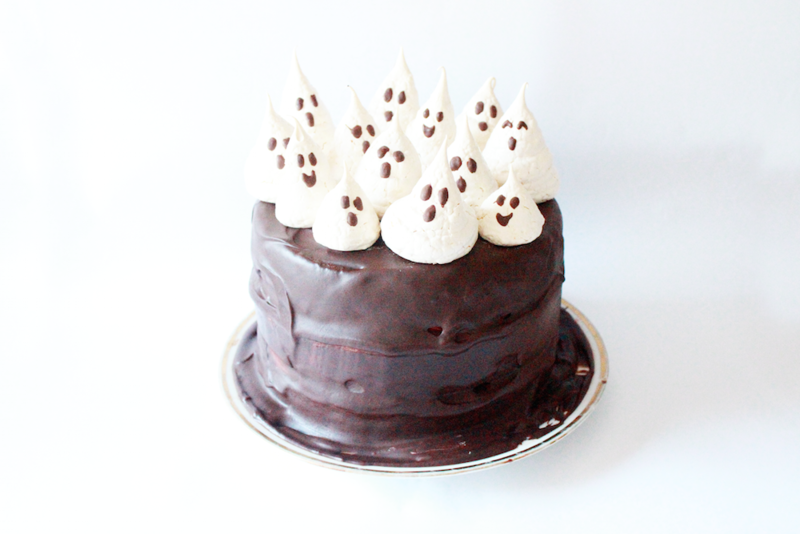 Using a small amount of melted dark chocolate pipe eyes and mouths onto your spooky ghosts! 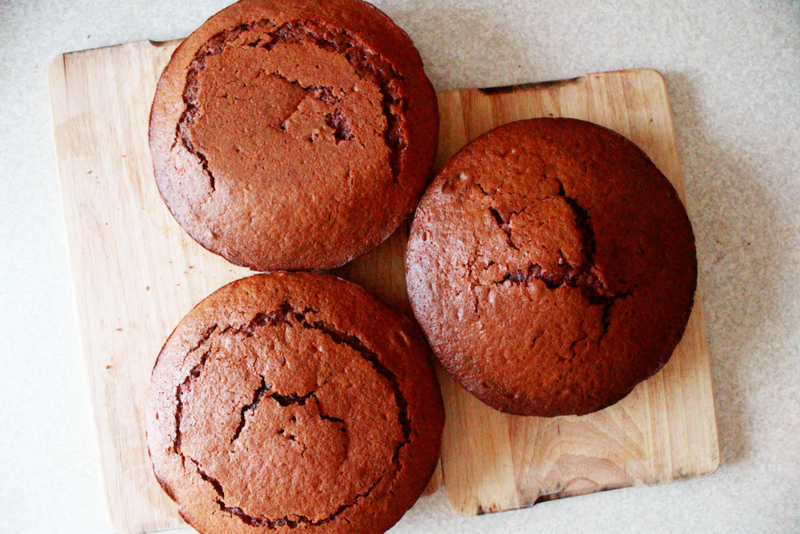 Place them on top your cake and voilà! 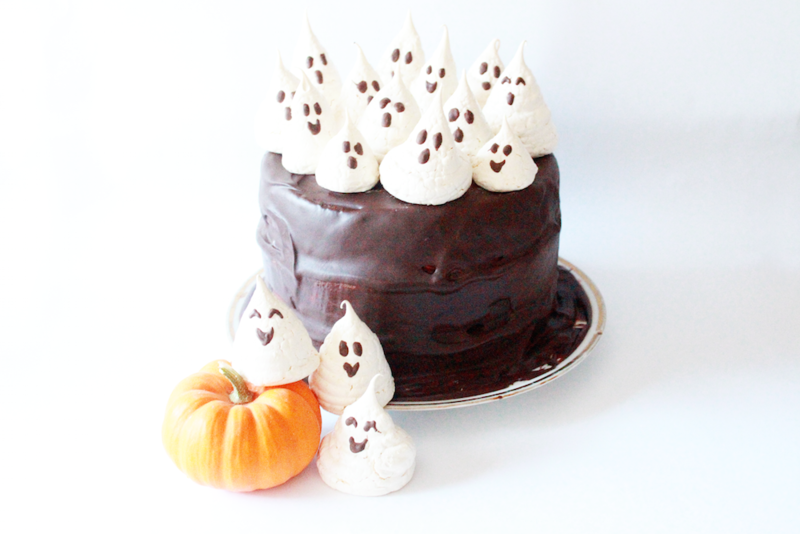 Your Haunted Halloween Cake is complete and ready to spook your guests! Again this cake didn't quite come out the way I wanted but it tastes lovely and looks cute, even though I was going for more scary than cute!